I hate snow and cold. That's the main reason that I left Minneapolis as quickly as I could. At 19 I packed up all of my earthly belongings (which were a cheap set of golf clubs, my tennis racquet, a drawing board, and maybe some other stuff) and headed west. I had spent too many winters in Minnesota, delivering newspapers and walking to school in the snow. I had a map, I had a driver's license, I had a car (well, an MG Midget), and all that mattered was to go where there wasn't any more snow and cold. 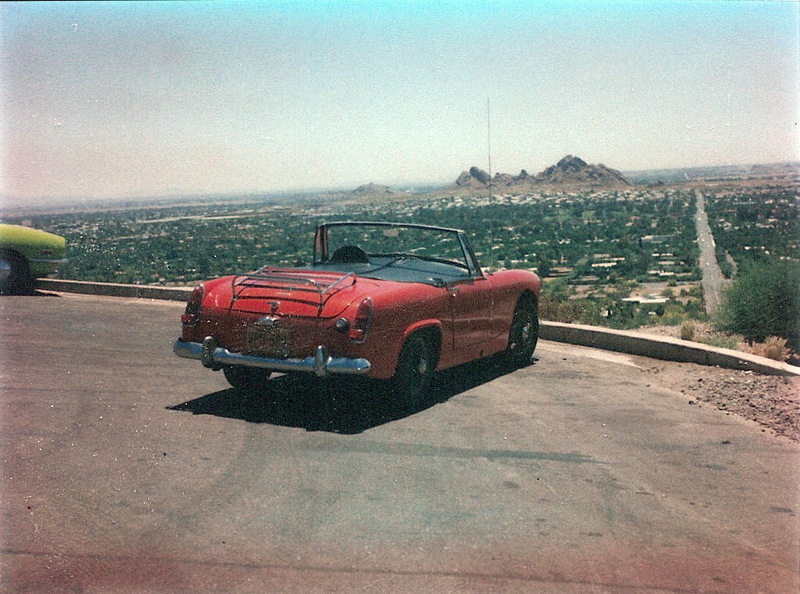 I drove to Phoenix, Arizona. I arrived in August, and even though my car, and my apartment, didn't have air conditioning, I really didn't mind. And I was anxious to see what winter would be like without snow. I was one of those typical midwestern people who was out by the pool when the locals were smart enough to be inside. But when Christmastime came, it hurt. I dreamed of a white Christmas. It all just felt so wrong. I remember making the mistake of guessing that the Arizona town of Snowflake would have a lot of snow, so I drove up there. No, it's not called that because of snow, it's called that because it was founded by two guys, named "Snow" and "Flake". Go Google it, I'm not kidding. I haven't trusted place names since then. I did find Flagstaff, which has beautiful snow. And I promptly got my little sports car stuck in the snow there, and was glad to get out of it. And I learned that I could always drive up 17 whenever I felt the need for cold, and cooler weather. A good lesson! The last time I saw Minnesota snow, 1982. 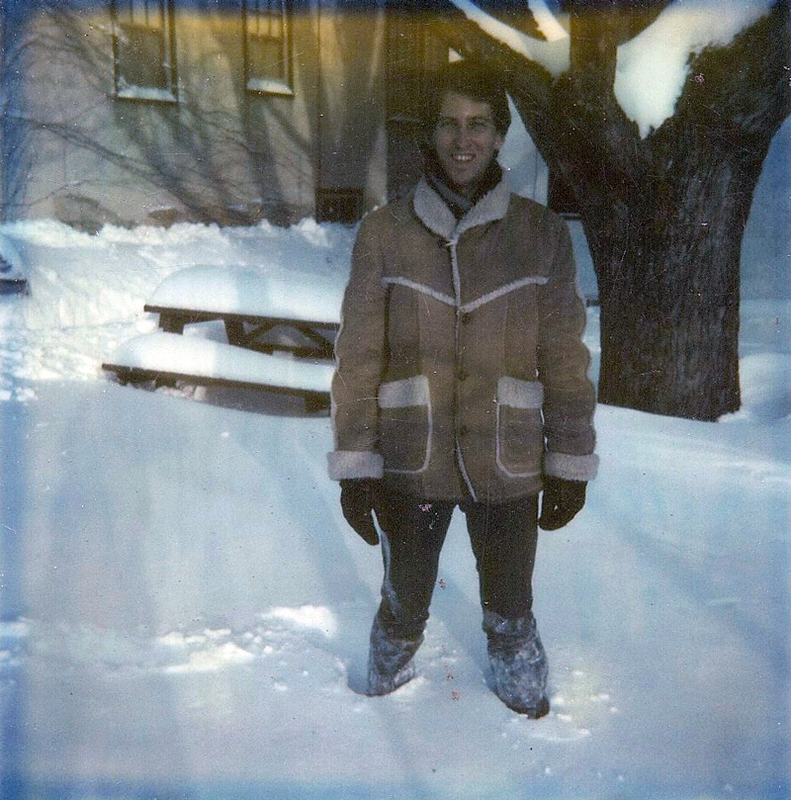 I made the mistake of visiting Minnesota one Christmas, and there was a record blizzard, and bitter cold. It seemed better to dream of it in Arizona than to actually go there, so I've never been back there in the winter. No thank you. Even after all these years, Christmas without snow seems very strange. I listen to Christmas music, and I look at photos. Then I walk outside, where right now it's 54 degrees, and I shiver. I like it here, and nothing could possibly make me go back to the snow and cold, not even for a visit. I dream of a white Christmas, but I do it from Phoenix. Image at the top of this post: Looking south at the Papago Buttes from Wonderview Road on Camelback Mountain in 1978, Phoenix, Arizona. Being in Phoenix amazed me then, and it still does.